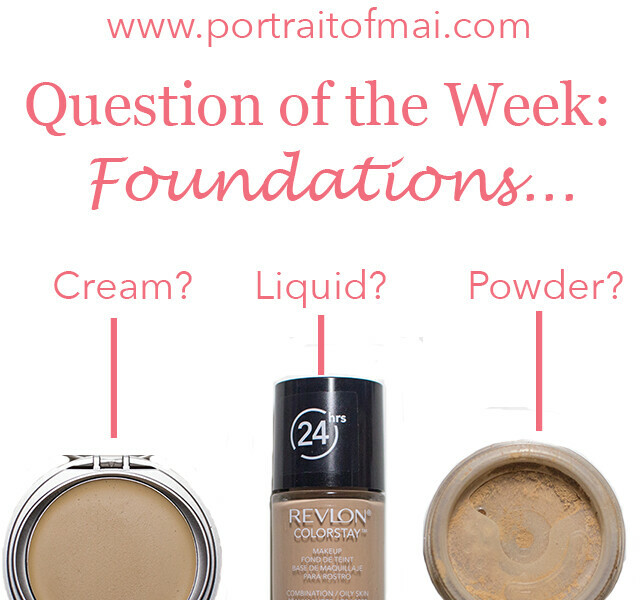 Question of the Week #2: Cream, Liquid, or Powder Foundation? This week's Question of the Week is about Foundations. Are you a cream, liquid, or powder wearer (or maybe even other)? I'm in the market for a new foundation so I'd love to know your current foundation (and your skintype!). I've been trying MAC Prolongwear Foundation (which is a liquid foundation) but sadly the shade I have, NC30 is a tad too orange on my skin. Otherwise I have been wearing a lot of my sadly discontinued MAC Studio Sculpt Concealer (which is a cream) all over my face. Which foundation type do you favor? Any foundation recommendations to try or stay away from for my normal to oily skin? I do liquid foundation on myself and on clients when I do makeup. If your skin is close to the oily side, use an oil free primer like MUFE Al Mat or Smashbox Photolight. Skin prep is important for oily combination skin or any skin type. Powder is not your friend if your skin is oily. I love using liquids for myself... Depending on my mood and the look I'm going for I use creams. Liquid, since I have dry skin. "Powder is not your friend if your skin is oily." How come? Most people swear by it, even a lot of people who do makeup professionally. Is it because of the possibility of oxidation or? Not all pro makeup artist embrace finishing powders, I surely don't but it really depends on the individual case, weather, lighting conditions and how oily the person is. If you are using powder to seal your makeup and your skin is oily and you sweat? Guess what, powder will melt and crease that is not something I want for a client. I'm in love with the Cover FX CC Cream. It fits my finicky skin. 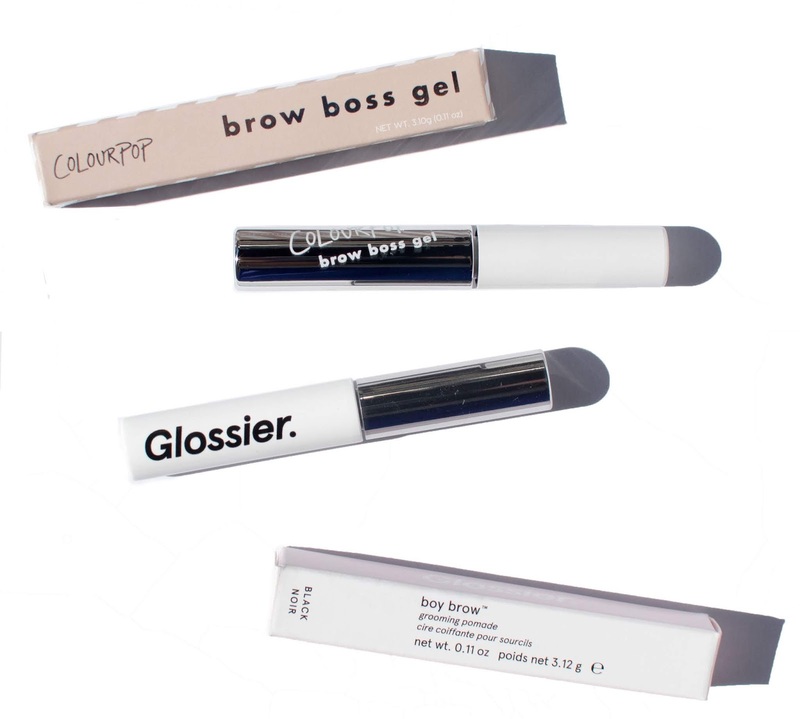 Right now, my go-to is Cover FX BB Gel. I have oily, acne-prone skin, and like light coverage. Liquid!! Although I just started using cream and I like it but I need to find a convenient way to apply it. I have dry skin and I've been having a hell of a time lately finding something that will work. I keep raiding my stash lately but none of my go-tos are making me happy! I have combo skin: dry, oily and normal. I am currently in love with Bobbi Brown's Skin Foundation stick. Long wearing and customizable coverage that looks like skin. I wear just about all of it. It changes daily! I'm a powder kinda girl! My skin is semi oily and it looks less messy on me! I'm definitely a liquid gal. I'm using Illuminare right now. I probably prefer liquid out of those options. Powder is my least favourite. Like most of the western world, right now I'm digging BB creams and those thicker formula foundations that are somewhere between a liquid and a cream compact. I normally go for liquid formulas because they are easy to blend. I personally LOVE foundation pressed powder! I always use a good coat to set my liquid foundation or just wear a lot of it buffed onto my face! 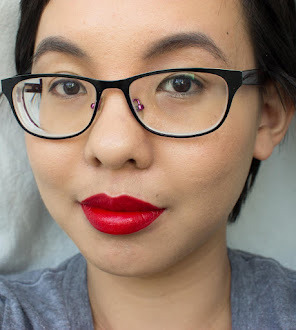 I use a drugstore brand here called ZA and it's very full coverage! I prefer liquid personally. Everything else looks too chunky on my skin. I ilke all three though it depends on what I'm wearing them for and the weather. Revlon Colorstay for Combination/Oily Skin is actually my go-to foundation at the moment, so I'm going to go with liquid. My skin is really oily, but this foundation works really well for me and leaves a flawless finish. A couple of my friends also use the same line in different shades and we all agree that it's our favorite drugstore foundation. I have oily skin and always lean to liquid full coverage ones! PHAMExpo 2014: Coming This Weekend!